Knowing how their engine works can help Spring car owners make informed decisions about car care and prevent expensive repairs to their vehicles. This is especially true when it comes to timing belts. Not all vehicles in the Spring area have timing belts. Some have timing chains. A timing chain is more durable and rarely breaks, but timing belts are cheaper, so many auto makers use them to save money. Timing belts wear out and break, so a key part of preventive maintenance for Spring car owners is to replace the timing belt on schedule. 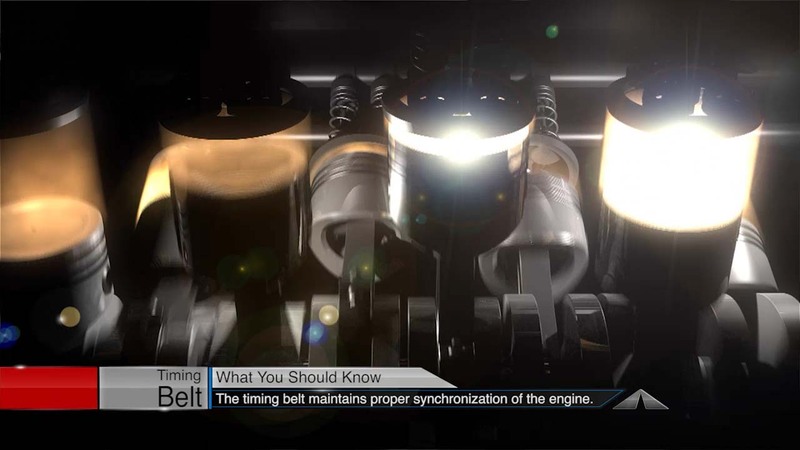 The results of failure of a timing belt depend on the type of engine in your vehicle, but they are always inconvenient and can be very costly for Spring motorists. If your engine is a non-interference engine and the timing belt breaks, the engine simply stops running. Now that can be an incredibly harmful situation depending on where you are driving around Spring when it breaks, but it won’t cause any engine damage. On the other hand, if your vehicle has an interference engine and the timing belt breaks, the valves on your cylinders will actually fall into the path of the pistons. Then things start getting chewed up by the motion of the engine and it will cost thousands of dollars to get everything sorted out again. Compounding the problem is that there aren’t any warning signs before a timing belt breaks. A visual inspection of the belt is difficult also. In some vehicles, parts of the belt may be visible, but most vehicles hide the belt under a cover. Replacing a timing belt is not a cheap part of preventive maintenance for Spring motorists. The belt is usually difficult to get to and often requires removal of some of the engine accessories. The cost of the replacement, however, is a lot less than the repairs may cost if the timing belt fails. For more auto advice on timing belts and other engine components, you can always consult with your personable C&A Transmission & Auto Repair tech. When it comes to car care, ignorance is not bliss. It can end up costing you in a big way.